The latest 13C video has produced several questions in relation to threat level ratings and body armor. I’d like to take a moment to go over some of those here. Bullets cannot be completely protected against, and while a bullet proof vest will dramatically increase your chances of survival, complete protection can never be fully guaranteed. It is for this reason that some prefer to refer to vests as ‘bullet resistant’. Bullet resistant vests are available at different threat level ratings depending on the ammunition it can protect against. The following list compiles some of the most popular and available rounds and what level of body armor you will need to protect against each. For calibers listed, keep in mind that a longer barrel will increase the velocity of the round and may push that round into the next threat level rating, refer to the full NIJ’s Official Documentation for full listings. The 9mm Parabellum is commonly known as the most widely used handgun ammunition, thanks in part to its adoption by Law Enforcement. Made in Germany, the 9mm can be used in semi-automatic pistols as well, increasing its popularity. A Level IIa vest will stop this round at lower velocities, but at higher velocities, such as carbine length barrels, a Level II vest is needed. The .357 Magnum is credited with beginning the ‘Magnum era’ of handguns. This round was introduced in 1934 and can be fired from revolvers and certain semi-automatics like the Desert Eagle. It is renowned for its stopping power, and will need a Level II vest to protect against it. The .44 Magnum is possibly the most famous ammunition in the world, thanks in no small part to Dirty Harry. However, until it was featured in the film it had been largely ignored and remained unknown from its introduction in 1955. This round has excellent stopping power, though this naturally causes higher recoil and muzzle flash. For this ammo, a Level IIIa vest is needed. The 10mm Auto suffers from high recoil, though is known for its stopping power. However, despite its early use in certain branches of law enforcement it never gained the popularity of its shorter counterpart once most agencies transition to .40s&w. 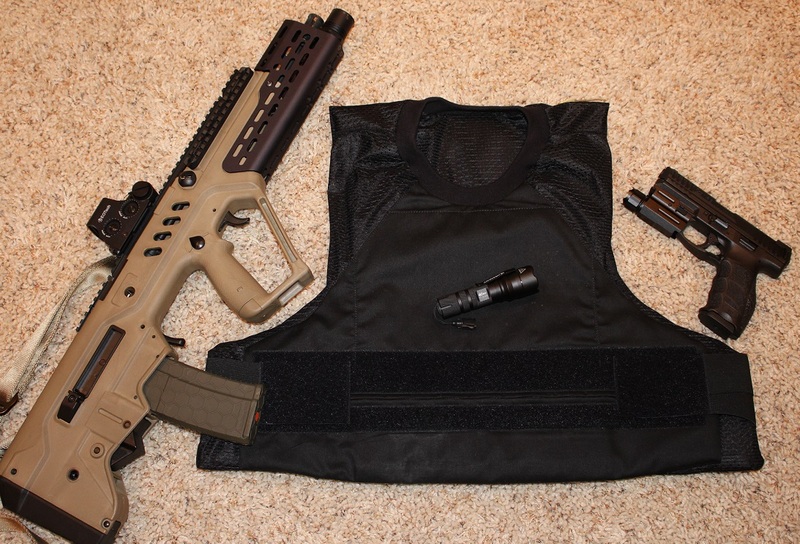 The 10mm requires a Level IIa vest for protection. The .40 S&W was named for its creator, Smith & Wesson, and was designed as a shorter version of the 10mm Auto to be used by Law Enforcement. The .40 S&W has gained popularity among Officers since its introduction in 1990 thanks to its decreased recoil compared to 10mm. Stopping the .40 S&W requires a Level IIa bullet resistant vest. The .357 SIG was named for its manufacturer Sig Sauer, and is very similar to the .357 Magnum. It does however boast decreased recoil and increased reliability, while also being compatible with many platforms. Protection against the .357 SIG requires Level IIa body armor. The .45 ACP was designed to be used in John Browning’s prototype Colt Semi-automatic pistol, and gained popularity from 1911 thanks to its adoption by the US Army. The .45 ACP, also known as the .45 Auto, is famous for its use in the M1911 pisto. The .45 ACP is nevertheless heavy and more costly to produce, and requires a bullet resistant vest at Level IIa. The rounds previously mentioned are largely used in handguns, which are the most common threats faced law abiding citizens and law enforcement. Bullet proof vests from Level I to IIIa can protect against different levels of handgun ammunition, but for higher caliber rounds and even armor-piercing ammunition they will not suffice. For these rounds, a Level III or IV vest that uses, Steel, Ceramics and/or Polyethylene is necessary, and below are some examples of the most common rounds they can protect against. The 7.62mmx51mm NATO is a popular and versatile round that shares similarities with other types of rifle ammunition. Released in 1954, the 7.62mmx51mm NATO is used in a variety of rifles and automatics, and is available in an armor-piercing variant. This will require a Level IV vest, though regular 7.62mmx51mm NATO ball ammunition will be stopped by a Level III vest. The 5.56x45mm NATO is another commonly used rifle round, the most famous weapon being the M16 rifle. It will require a Level III vest at a minimum and depending on ammunition used, including the M193 round, a Level IV vest is required. The .308 Winchester is most commonly used by big game hunters and military organizations, making it one of the most successful rounds available. The .308 Winchester duplicates the ballistic specifications of the 7.62x51mm, and will require a Level III bullet resistant vest. Generally AP rounds are only available in 7.62×51, so level III should be sufficient in most cases for .308. The .30-06 gained fame with its use by the US Armed Forces from 1906 to 1956. For most chamberings in this caliber, a Level III bullet resistant vest is needed. The more rare .30-06 AP ammo requires a Level IV vest. The plates of Steel, Ceramic and/or Polyethylene used in Level III and IV vests are much more rigid and heavy than their ‘soft’ counterparts at lower levels. However, this extra weight is a small price to pay for the protection the rigid plates can offer. Every level of body armor is decided upon by the National Institute of Justice and their rigorous testing methods. For more information on the ballistic protection of bullet proof vests, see the NIJ’s Official Documentation regarding testing and grading. 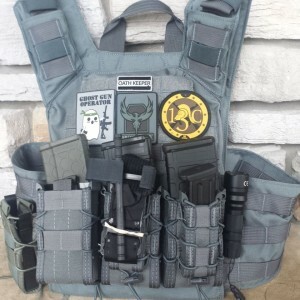 As technology has advanced, soft armor weight between Level II vest and a Level IIIA is minimal and opting for level IIIA just makes the most sense in my opinion. Hard armor is another matter as the increases in weight from level III to level IV need to be considered. Another consideration would be trauma pads, if a round impacts your vest, blunt force trauma can cause serious injury, including broken ribs.